During Treaty Recognition Week, we acknowledge the many treaties that the Canadian Government signed with the First Peoples of this land. 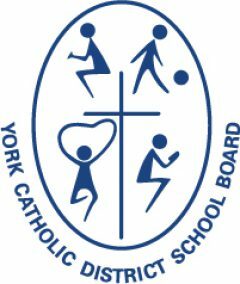 The York Catholic District School Board acknowledges Treaty Recognition Week. We recognize that our Indigenous Peoples were the original occupants of the land. As we continue to walk together with our Indigenous communities, we acknowledge the traditional territory upon which we gather. 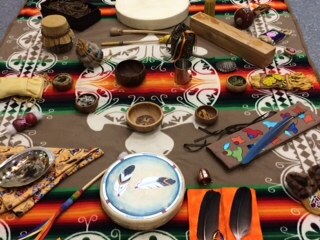 During Treaty Recognition Week (November 7-11) our school communities will be participating in reflection and prayer dedicated to our indigenous peoples as we use our growing awareness of the unique gifts wisdom to take steps towards reconciliation. In addition to that, school communities are encouraged to celebrate the richness of this community and the impact they have made Canadian history and our way of life. We gratefully acknowledge that our school rests on land that was the traditional territory of the Chippewas of Georgina Island. During Treaty Recognition Week, we acknowledge the many Treaties that the Canadian Government signed with the First Peoples of this land. These treaties mean that all people in Canada, all of us, are Treaty people. We have an obligation to ensure that the Treaties signed be honoured. We celebrate the many contributions made by our First Nations, Metis, and Inuit people to the development of our nations and to our society. In particular, the Chippewas of Georgina Island offered assistance to the first European travelers to this territory, and shared their knowledge for survival in what was at times a harsh climate. The Chippewa of Georgina Island entered the Upper Canada Treaties and the Williams Treaties from 1781-1862 and in 1923. We journey in relationship with the Indigenous People of this land, a relationship with our neighbours based on honour and deep respect.